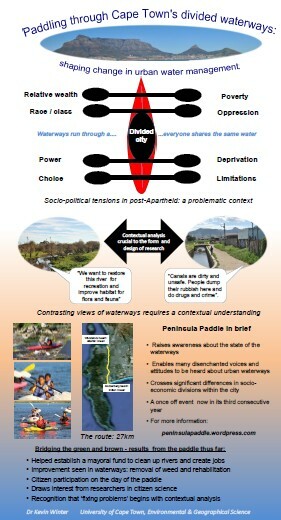 Two key reasons: to raise awareness about the blue-green water corridors that have potential to join our divided city; and to bring to the attention of the City of Cape Town and public the condition of the waterways. 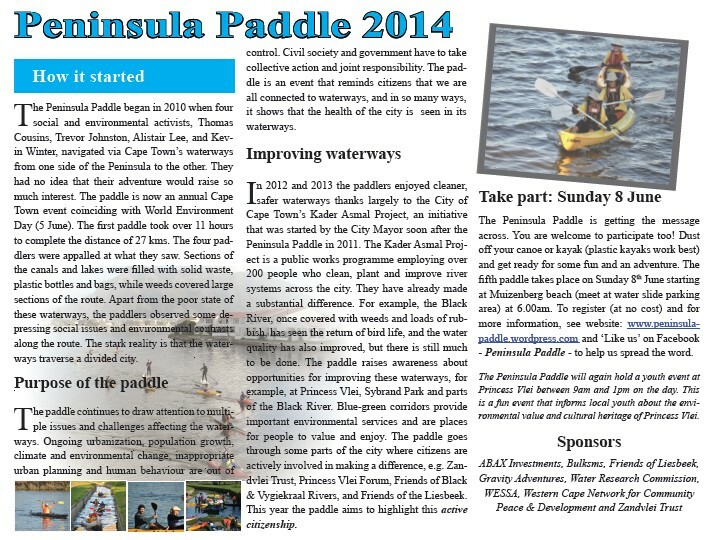 The Peninsula Paddle draws attention to the state of Cape Town’s urban rivers. It’s a fun event. Anyone can participate and there is no cost. All you need is a kayak and the guts to paddle from Muizenberg to Milnerton! Over 100 paddlers have already taken up the challenge.